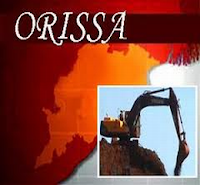 Orissa Minerals Development Company’s (OMDC) development and mining work in Kolha - Roida Iron & Manganese mines and Dalki Manganese mines at Barbil, Keonjhar district in Odisha has been stopped as permission for lifting of iron and manganese ore has not yet been issued, by DDM, Joda. OMDC is engaged in mining and producing iron and manganese ore. They also produce sponge iron. Apart from mining and marketing of iron ore, the company is also engaged in the field of mining and marketing of manganese ore.